When Angelo Gaja finally arrives at the winery’s tasting room—our group has been tasting wines with his daughter Gaia—he is equally laconic. “Gaja,” he says as he shakes our hands. 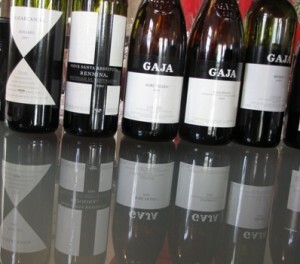 Not “Hello, I’m Angelo Gaja” or “Welcome, I’m Angelo Gaja,” but, emphatically, “Gaja” seven times, once for each of us. He doesn’t simply enter the room; he sweeps in. You feel the charisma he distributes like charged ions in the air. It’s not necessary to recapitulate in detail the amazing transformation that Angelo Gaja wrought in Piedmont and indeed all of Italy. That from taking over the winery his great-grandfather founded in 1859, he toiled endlessly to bring a sense of importance and attention to the region and to the nebbiolo grape. That he pioneered small-barrel aging with his Barbaresco 1975, a practice that remains innovative, controversial and widely imitated. That he pioneered single-vineyard bottling for Barbaresco with Sori San Lorenzo in 1967, Sori Tilden in 1970 and Costa Russi in 1978. That he pioneered in introducing chardonnay and cabernet sauvignon to Piedmont. That he didn’t shrink from seeking the highest prices for his wines, in a signal that Barbaresco and Barolo were forces to be reckoned with on the international market. I first met Gaja in Memphis in 1991. He was the guest and speaker at a dinner and tasting at the restaurant of “Big John” Grisanti, a legendary bon vivant, raconteur and wine collector. Before the event started, Gaja sat quietly by himself, seeming out of his element. He wore a light blue sport jacket over brown slacks. My wife whispered, “He looks like a farmer,” and indeed his demeanor, while confident, was unassuming. 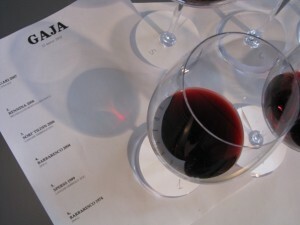 I was a judge at VinItaly in 1993, and I met Gaja there again. We had breakfast at our hotel, in the guise of an interview, and he drove me to the fairgrounds in his Mercedes. 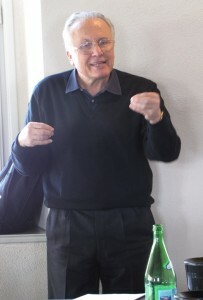 This was the Angelo Gaja I expected, affable, unflappable, sophisticated, authoritative, and that’s the Angelo Gaja that my group encountered in March this year at the winery. That facility, where annually 350,000 cases of wine covering 13 labels are produced, reflects the meticulous perfectionism, some might say an obsessively controlling nature, that affects every aspect of the culture of the Gaja company. After extensive remodeling, the architecture and engineering of the winery’s offices, public rooms, fermenting and aging chambers, even its walkways and corridors, the bricks and tiles and polished concrete, and perhaps especially the lighting, speak of an attitude for which no detail is beneath consideration. The winery is filled with modern sculpture of an angular, dynamic, up-thrusting character, a mirror of the personality that brought this rarified realm into being. The tasting room occupies an open, airy chamber in the Castello di Barbaresco, which Gaja bought and renovated and connected to the winery. The roster today is Magari 2007, Toscana IGT; Rennina 2004, Brunello di Montalcino DOCG; Sori’ Tildin 2006, Langhe Nebbiolo DOC; Barbaresco 2004 DOCG; Sperss 1999, Langhe Nebbiolo DOC; Barbaresco 1974, DOCG; and Gaia & Rey Chardonnay 1997, Langhe DOC. Wow, these reds are tannic! My notes run from “smoky, oaky, toasty, graphite” (Magari 07, a blend of 50 percent merlot, 25 percent cabernet sauvignon, 25 percent cabernet franc) to “minerals and dusty tannins” (Rennina 04) to “incredible tannins, austere, almost astringent” (Sori’ Tildin 06) to “lots of oak, huge tannins” (Barbaresco 04) and “still huge tannins” (Sperss 99). Am I missing something? 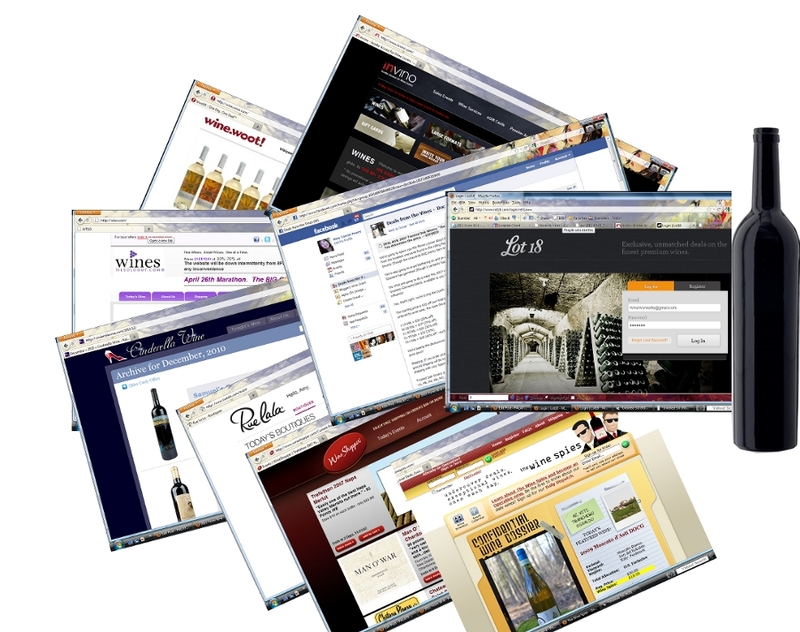 No one would argue, of course, that it would be anything but a crime to drink these wines in their youth, especially at the cost; the average Internet price for Sori’ Tildin 06 is $347. I understand building wines for the long-haul, but at 10 years shouldn’t the Sperss be mellowing a little? Jumping back 25 years, the Barbaresco 1974, made the year before Gaja started using French barriques, is fading but still vigorous, with a ruddy brick-red color and lovely notes of macerated and stewed black currants and plums. The hit of the tasting, though, at least for my nose and palate, is the Gaia & Rey 1997. At 12 years old, this chardonnay offers a bouquet of spiced pineapple and grapefruit roasted with brown sugar and flavors of baked apple infused with quince and ginger and a penetrating limestone element. The acidity is beginning to lose its grip, but I could see drinking this marvel for another five years. Angelo Gaja’s daughter is charming and funny—she jokes that she could make Gaia Gaja wines in Walla Walla—but once the father arrives, dressed all in black, the show is his. He takes off his jacket, drapes it on the table, sits down and begins to answer questions in a roundabout manner that tends to include history, philosophy, family values, winemaking techniques, personal anecdotes and not always, you realize later, an actual response to the query. The inside of his jacket is stitched in red, and red also are the initials “A G” on the inside pocket. After a few minutes, he stands, the better to see us all. *”We will stay artisan. Making Santa Cristina is not our job,” referring to the inexpensive label from Antinori. *”I tell my colleagues, Europe should be our first market,” though of course Gaja wines are avidly collected all over the world. When the tasting concludes, we are each presented with a copy of the book The Vines of San Lorenzo: The Making of a Great Wine in the New Tradition, by Edward Steinberg, and—this is a surprise—a bottle of Gaja Barbaresco 2005 in a wooden box. Later at lunch, as a trattoria just up the hill, the Gaja Barbaresco 2006 drinks beautifully, undeniably packed with tannic force, but smooth and harmonious and almost gloriously delicious. Fantastic piece of writing. Thanks for sharing this unique view on Angelo Gaja and his wines. 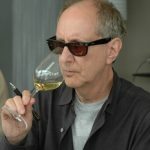 This post was mentioned on Twitter by palatepress: Gaja, the Man Behind the Wine – http://b2l.me/rg2v7 (via @palatepress) Fredric Koeppel writes again for Palate Press…. I’m not agree with “people who have no tradition have more freedom”..
You better watch out when you speak of tradition to the wine..
dicotomia wine – tradition wine-free vs? however if is one of the Italian wine kings to say it, will need to give him credit!